Rich text editor – Welcome! How can we help? 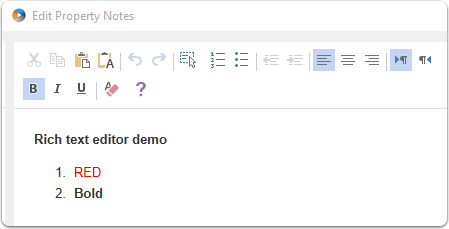 WorkPoint Express now comes with a rich text editor to support rich text fields and enhanced rich text fields. Click the blue icon on the right and the rich text editor opens for supported fields.